Isledon Arts is a community interest company who run youth services. We are contracted by Islington Council to manage Lift, Platform and Rose Bowl youth hubs. When the buildings are not being used for youth services we hire them out to commercial and community organisations. The money raised from this activity is invested in the youth services. We also employ a high percentage of young people. We collect and process personal information to enable us to provide youth services and run our commercial operation. Looking after the personal information you provide and respecting your rights to privacy are very important to us. We will make sure that your personal information is secure and guard it against unauthorised access and loss. This policy details what we collect, why we collect it, your rights and other important information. Young people can ask for help from a youth worker to go through this policy. To identify individuals who are using our services. We can see how often they visit the hubs and what activities they take part in. This helps us make improvements, access funding and make better use of resources. It informs our programme planning. It also enables us to show we are meeting targets set by funders, in particular Islington Council. Medical Conditions To enable us to act quickly in an emergency if someone needs first aid and is unable to easily communicate. Next of kin name and contact To enable us to quickly get in contact with a parent or guardian in an emergency. Phone number So we can contact individuals for reasons such as appointment reminders, responding to personal support requests, lost property and other day-to-day youth work issues. Phone calls and text messaging are also regularly used for providing information, advice and guidance to support young people to progress to education, employment and training. Email address and phone number So we can send occasional emails, SMS or MMS messages to let people know about special events, projects, programme changes and new services that might be of special interest. Postcode, age, gender, ethnicity, disability To enable us to see if our users are reflective of the communities we serve and that opportunities are being taken equally by all. We will be able to take positive action if not. It is also a requirement of most funding bodies for us to provide this information. This is always used a summary information with no individuals identified. 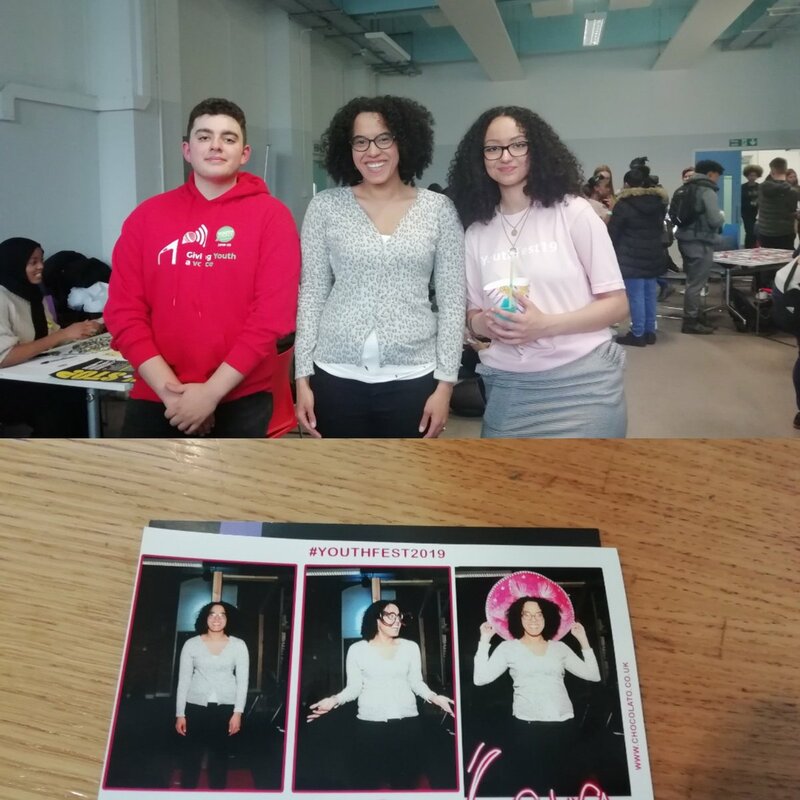 School or college To ensure that we engage with young people from all Islington’s schools and colleges. We will arrange additional outreach work if we see that any school is under represented. Achievements and accreditations To enable us to monitor outcomes to show we are meeting targets set by funders, in particular Islington Council. It informs our programme planning. We also use this information to give references if requested by young people. We will only keep your information until your 26th birthday (you are then no longer considered a young person and will no longer be able to use youth services). Name, company name, address, phone number and email address To create records of customers and business transactions and to process and communicate information about the booking or event. We also monitor any comments and other feedback. We do not use emailing for direct marketing purposes. We keep a log of names, payment amounts and customer phone numbers To assist in the unlikely event of a cancellation, contact can be made to arrange any refunds. We do not keep any bank, card or security code details supplied to make transactions. 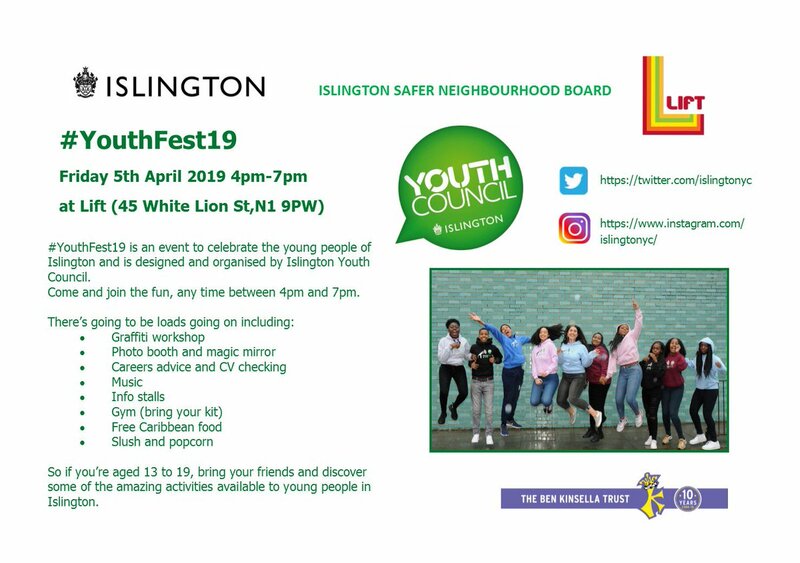 With consent we would like to share your information with Islington Council so that they can use it to help improve overall services to children and young people in the area. They own and fund the youth hubs and would like to ensure that lots of young Islington residents are making regular use of them. The council also has a safeguarding duty under the Children's Act and the data will be input into Integrated Youth Services Database. You will not receive calls, emails or SMS messages from the council. When the council uses the information for reports and presentations it is always in a summary format with no individuals identified. Isledon Arts run Lift, Platform and Rose Bowl youth hubs. When you give your information to one of these it will automatically be accessed by other two hubs as we all use the same database. It is also possible for us to potentially share your information with other local youth providers if they are using a digital tool called I’m Here. This means that if you tell us a change in your information, for example a new mobile phone number, then you will not need to tell every provider. It could also make it easier to sign up to different services more quickly and easily. If you do consent to let us share your information with them they will not actually be able to see it until you start using their services. This part of the digital tool is still under development. The first youth provider who will participate is Dragon Hall, who manage Islington Council’s youth media hub Soapbox. Any participating providers will all use your information safely and within the law. As and when any other new organisations join we will update this policy. If you wish to receive marketing communications from any other organisation this will need a separate consent from you to that organisation. The only people who will see your information are employees or people contracted by Isledon Arts who have been suitably DBS checked and trained in how to handle your information safely, securely and confidentially. They are usually the youth workers in the case of young people’s information and head office staff for adults. If you have agreed to let us share your information with Islington Council, it can be accessed by council staff and their contractors who look after the children’s and young people's databases. 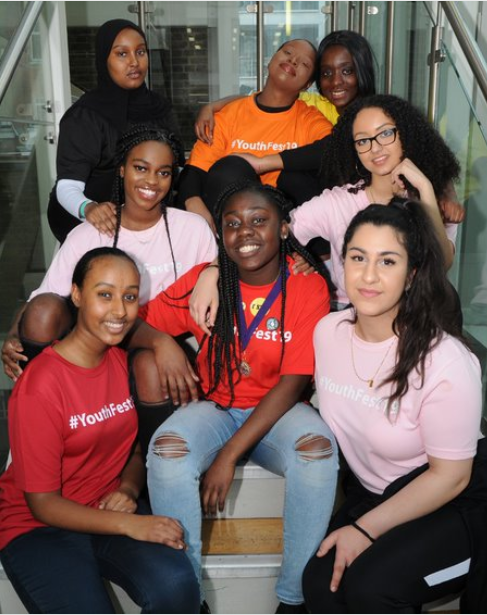 If you have agreed to let us share your information with any other youth providers in London, it can be accessed by their youth work and administrative staff and contractors. We normally collect information about young people with consent and we will always use it in a way that is fair and lawful under the General Data Protection Regulation 2018 (GDPR). Some information we think is essential for you to give us it forms a basis for being able to perform our youth work duties. In most cases, if you will not consent to give us this essential information then you will not be able to access the services and gain the support of our youth workers. Some information is optional, for example an email address or your ethnicity. We make it clear on our registration forms that you have a choice to give us this information. With business customers we collect information with legitimate interest to enable us to process bookings and make financial transactions. Note that we will not share information about you without your permission unless we are legally required to do so. We will also never transfer your personal data outside of the European Economic Area. You have the right to know how we use your information, the right to change your mind about allowing us to use your information at any time and the right to ask that your information is updated or deleted (if there is no legal reason for it being kept). You also have the right not to provide your information in the first place. If you are under age 13, you have all these rights but also need parental consent for us to process your information. If you give us your information we will contact your parent or guardian to ask for this permission. To see more about your rights you can visit the website of the Information Commissioners Office. If you would like to see the personal information we hold on you and how we have used it just get in touch. We will give you this within a month. There is no charge. If you have agreed to share your personal information with other youth organisations, we will remind you of this so that you can follow up with the other organisations if you choose. If you think we have made a mistake or broken the law, you can make a complaint. You must contact us in the first instance. If you are not happy with our response, you can ask the Information Commissioner’s Office to investigate. The ICO can be contacted at 01625 545 745 or via their website. Isledon regularly review and audit the ways we hold, manage and use personal information. Isledon regularly assesses and evaluates our methods and performance in relation to handling personal information. This policy will be updated as necessary to reflect best practice in data management, security and control and to ensure compliance with any changes or amendments made to GDRP 2018.